The Arthur Press Ltd. stands out in our markets for our excellence in each of our production specialties: Quality printing, the dedication to our customers and repeat business and loyoalty of our customers that we have developed over the past 60 years. From design and typesetting, to proofing and pharmaceutical or commercial printing, The Arthur Press Ltd. is your “printer of choice” . We welcome your regulatory,QA and audit teams to review our “complete” index of services .making you aware of everything that will enhance dealing with us . Of course we can handle your Marketing requirements too! 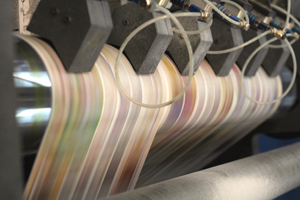 We offer a complete range of commercial products :Catalogues or manuals that require the perfect bind, spiral bound books, special folding brochures, continuous or multi part forms, newsletters and even something as simple as corporate business cards; No job is too large or too small . The Arthur Press can do it all. You may also want to take advantage of our secure, climate controlled warehousing. You can print large quantities,achieve lowest pricing and we can arrange to store your product on site..